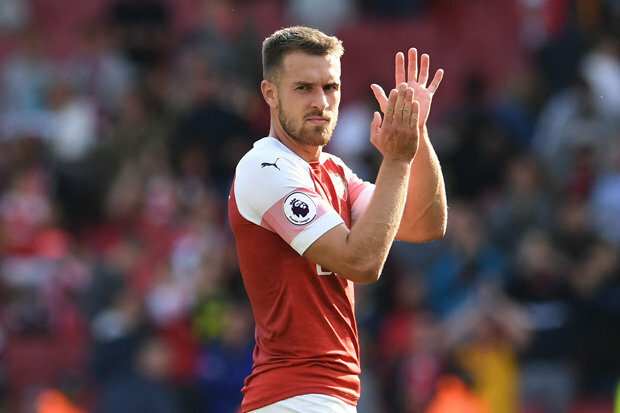 One assumes Arsenal, after their crushing victory at Fulham, will come to their senses and give Aaron Ramsey, star of the show (as a sub! ), the extended contract he now wants. At Craven Cottage, the Welsh international’s display, initially on the right of midfield, then through the centre, was formidable. Though Ramsey must be feeling deeply disappointed at the Gunners’ refusal to increase his weekly salary – which would still be far inferior to the inexplicable £350,000 a week assigned to the inconsistent German international Ozil. You ask when and whether Ozil (absent at Fulham) has given the kind of display afforded by Ramsey in their 5-1 extravaganza. Both scorer and goal maker, he gave us no sign in his performance of manifesting his disappointment in the club’s asinine refusal to meet his terms. Twenty-seven now, he still surely has bright years well ahead of him. He has certainly not belied the high promise he showed when he came on the Wembley field in the FA Cup Final for Cardiff City against Portsmouth a decade ago.